Nice and quiet.......just what I was looking for. This is the some of the most silent ammo in my AAC or YHM cans that I have found in a long time. But it has gone up in price now that it's known for being quite. As far as being clean it's no worse than any other quality ammo when using a can. Surpressor use just equals a dirty gun any way you look at it. But it is cleaner than most Reloaded or cheap range ammo that will be very dirty after a box of ammo is run through the gun. The price could definitely come down in price some but it's all supply and demand. It should be a few bucks lower but good luck finding it in stock at a lower price. 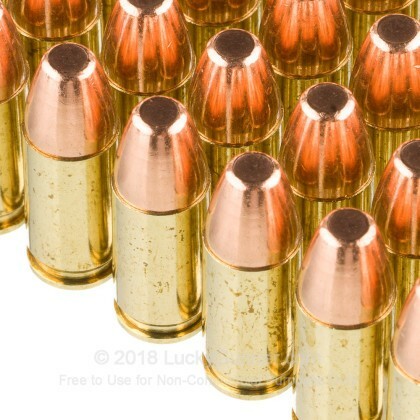 Simply the quietest ammo for your can. It is pricey though. It is the only ammo I use for my suppressor. Let me start off by saying I have a YHM cobra45 surpressor mated to a glock 19 with a lone wolf barrel. For the first 6 to 8 shots the ammo didn't want to cycle through my handgun. But after the 8th round or so the fire arm preformed flawlessly. 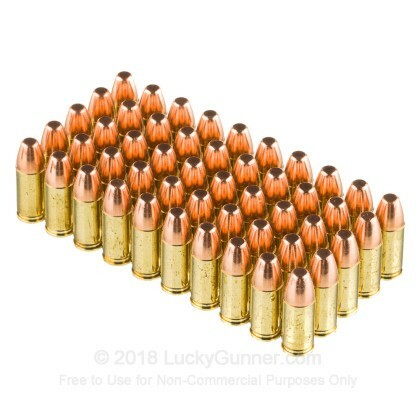 Let me also add that I have probly ran a total of 25 rounds through the can(this above ammo included) so there maybe a break in period that I am not awear of. That being said I would buy this ammo again. This is the quietest stuff I've used...soft-shooting and accurate too. My Glock 26 loves this stuff. Very soft shooting, very clean, cool shooting. Very accurate and trustworthy. 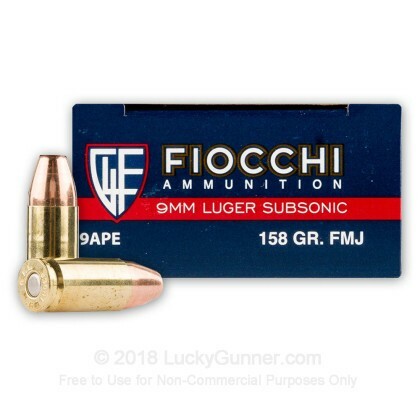 Despite it being a FMJ, this is my CCW ammo.........its great in this gun and the trust factor outweighs the downsides of FMJs. Works as advertised and runs pretty clean - important with suppressors. Accurate @ 25 yds. Less crud blowback than most brands. Bought 2000 on sale and am through 900 already. Will get more when I need it. VERY GOOD AMMUNITON, WORKS GREAT! EXCELLENT AMMUNITION AND WORKS GREAT WITH MY SILENCER. 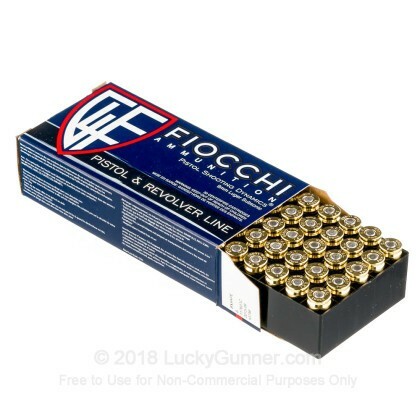 this is great ammo for 9mm m4 platform ,high speed round with good weight for a heavy punch,. and thats from a 16 inch barrell also works well in sub compact weapons like the glock 26. 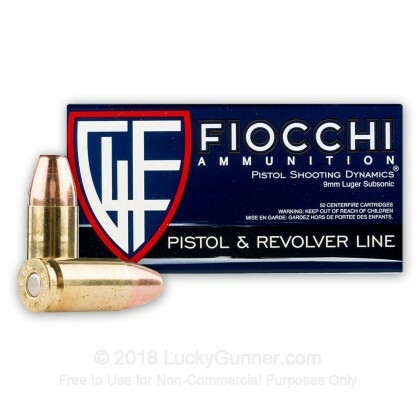 More and more I'm buying Fiocchi. Fired 150 through my Smith Sigma. No FTF. 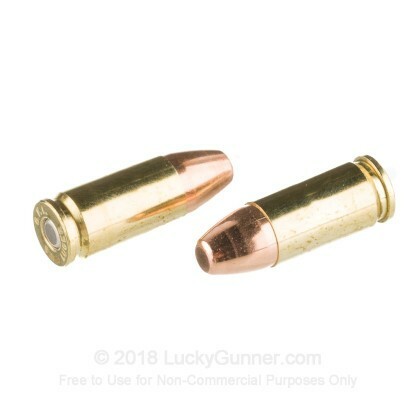 given the bullet weight, without getting into a ballistics debate, this round serves both target and self defense needs.